450, 500, 550, 600, 650, 700. Up to the works’ requirements. The whole batch plant systems of Sungshin Vina are imported from Korea. This system is the technology approach elected by a 35 – year – experienced ready-mixed concrete producer in Korea – Sungshin Cement. The unified system guarantees capability to produce concrete of high compressive strength (up to 700) with stable quality during the whole project time. + Double-axle mixer system: The maximum capability of 3.5m3/batch (average capability of mixers in the market in Việt Nam: 0.7 – 1 m3/batch) ensures the high productivity and steady quality. + Automatic weighing system: works efficiently, ensures quantifying coarse aggregate automatically, accurately to the designed specifications and requirements. + Controlling camera system: ensures the ability to control every process of batch plant operation, quickly capture and solve urgencies. Besides, for each construction project, Sungshin Vina can always make formulate mix proportion, make specimens, conduct tests at order to satisfy all the specific designated requirements. Basing on data of the popular types of ready-mixed concrete, Sungshin Vina has already designed, tested to compute appropriate mix proportions which can be used to produce ready-mixed concrete of high performance, guaranteed stability, and certified quality. 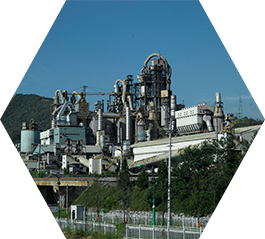 All of the production processes in Sungshin Vina strictly follow those of Sungshin cement who has been successfully producing ready-mixed concrete in Korea for 35 years. Before delivered to worksites, ready-mixed concrete in each single mix truck will be tested by quality control team to make sure all the requirements by purchasers are satisfied. Among key factors leadings to Sungshin Vina’s success, human aspect plays a very important role. All the leaders and staffs in Sungshin Vina are people with high qualifications, experience in concrete, high responsibility, strict discipline and notable moral spirit. 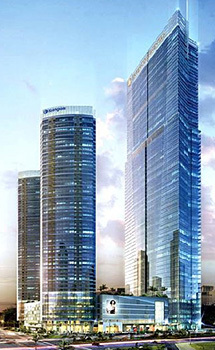 For high-profile projects, skyscrapers, requirements for ready-mixed concrete in terms of slump or slump flow are strictly demanding. These requirements are the biggest challenges to ready-mixed concrete suppliers, yet, at the same time, they are the competitive advantages of suppliers with advance technology, modern batch plant system like Sungshin Vina. Sungshin Vina ready-mixed concrete with standard slump and flow can definitely satisfy the strictest designated requirements, especially requirements for ready-mixed concrete with slump flow. Verifying the quality of Sungshin Vina’s ready–mixed concrete and its position in the market are famous projects that Sungshin Vina has been providing ready-mixed concrete as the exclusive supplier such as: Hà Nội Keangnam Landmark (72 floor building and two 48 storey buildings), Lotte (65 floors), Golden palace…and many other well-known construction projects. Sungshin Vina ready-mixed concrete is always perfect choice for contractors not only because of the guaranteed quality but also because of the high co-operative spirit of Sungshin Vina to all costumers: we can also provide technical consultancy to help constructors with best construction solution. With reputation built via high-profile projects, Sungshin Vina is now also gaining trust from smaller size projects. Apart from above mentioned costumers, Sungshin Vina ready-mixed concrete can be provided for all other kinds of construction projects such as: bridge, road, hospital, school ….